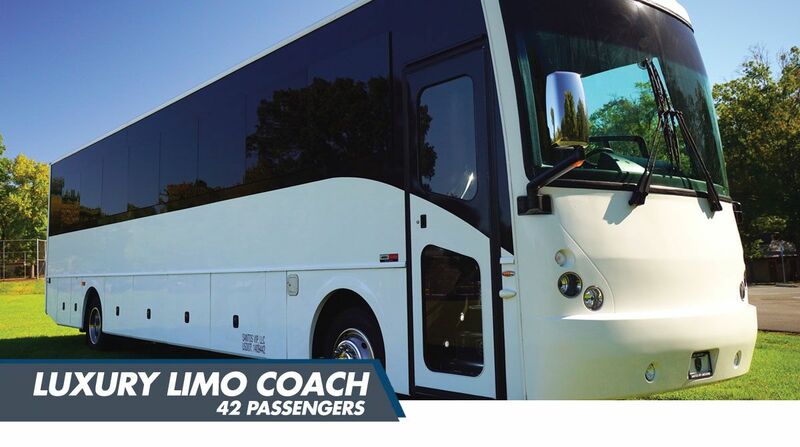 The 42 Passenger Limo Coach Party Bus. Bigger is definitely better and simply put our new, luxury 42 passenger limo coach party bus is quite simply amazing! 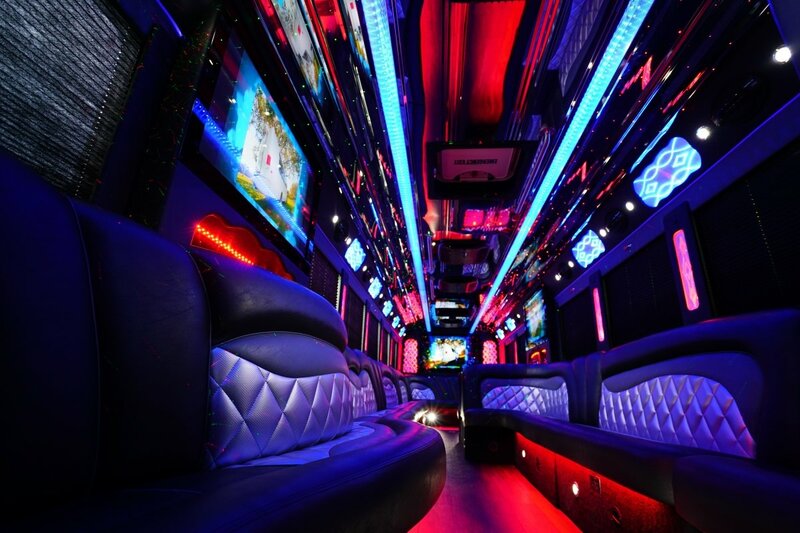 With an upscale limousine style interior, sleek exterior and loads of storage space, our 42 passenger limo coach party bus is the perfect transportation solution for transporting large groups for Weddings, Proms, Bachelor & Bachelorette Parties as well as tailgating at your favorite game at MetLife Stadium, Yankee Stadium or CitiField! 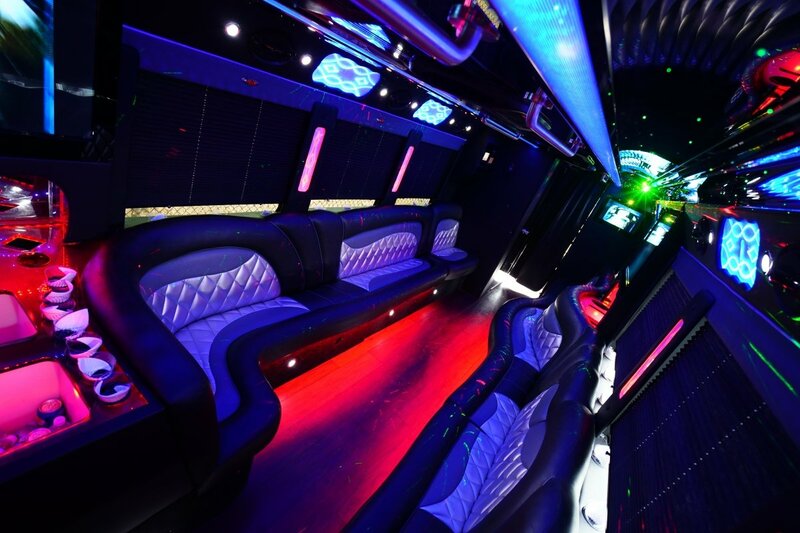 When we set out to build this luxurious 42 passenger party bus we knew we wanted it to be sleek, stylish and have an elegant night club feel… the Santos VIP NJ 42 passenger limo coach party bus is all that and then some. 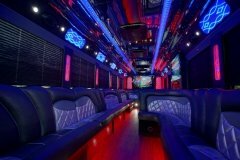 We want our clients to feel like absolute VIP’s every time they step into our NJ 42 passenger limo coach party bus so we have spared no expense in trying to accomplish that. 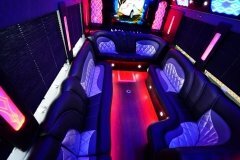 Some of the features include custom two toned wrap around leather seating, (2) LED back lit bars with multiple deep ice chests, rear VIP, (4) 55” LCD TV’s, premium Pioneer surround sound system with Blue Ray DVD, large panoramic windows with privacy shades, stainless steel ceiling with fiber optic lighting, color changing LED lights, laser lights, cherry wood floor, restroom with odorless fresh water system and much, much more. 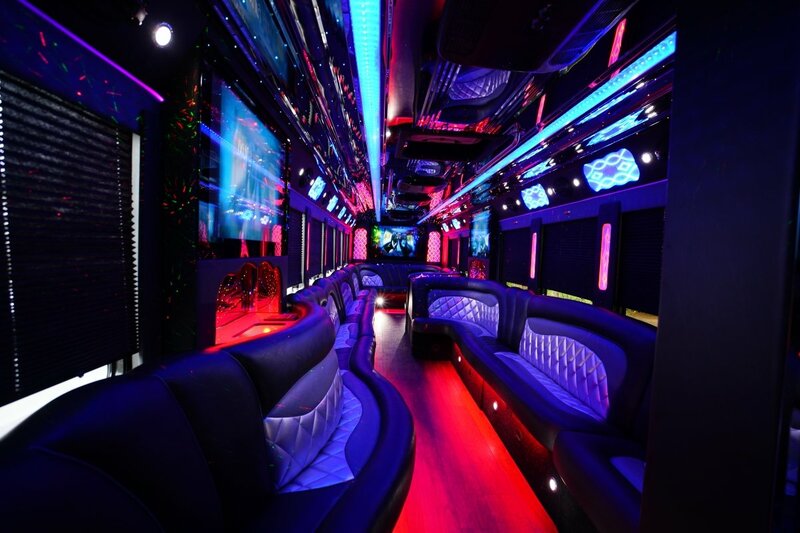 Interested in reserving our 42 Passenger Limo Coach Party Bus? 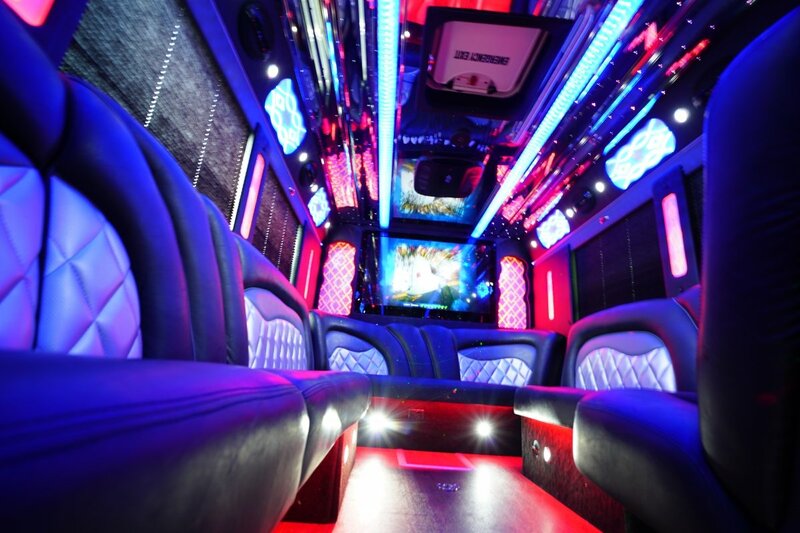 Fill out the form below and we’ll email you a quote.